The unwelcome impact of the global credit crunch has been felt by many people in many different ways. Scarcely a day passes without more depressing news about the economy assaulting our senses from every angle. 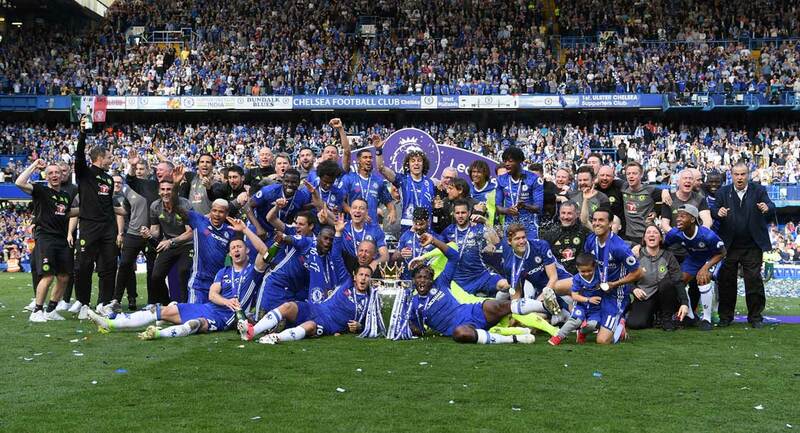 Chelsea Football Club, bankrolled by Roman Abramovich, remains unaffected. They say that money goes to money, and in Mr Abramovich’s case they are not wrong! According to the latest Sunday Times ‘Rich List’ the munificent ones coffers swelled by 900 million pounds to 11.7 billion last year, which is good news for Phil Scolari as he plans to re-model Chelsea’s squad in time for the new season.Back in the real world, the latest gloomy fiscal bulletin arrived via text message on Saturday evening as I’d watched Guus Hiddink’s revitalised Russia torment and ultimately destroy Euro 2008 favourites Holland. It read, Tones Bar is closing down, all memorabilia to be sold, come along for one last beer. Shocked, I jumped into my motor, gunned the engine and made light work of the short journey from South Cheam to North Cheam. North Cheam, nestling as it does in the Chelsea heartland of Surrey, is an unassuming place, a blink-and-you-miss-it crossroads commuter neighbourhood that people might pass through on their way to one of the nearby towns of Sutton, Epsom or Kingston. Unless you live there or happen to be doing your weekly shop at the mammoth Sainsbury’s Superstore which dominates the town, there is little or no reason to tarry in North Cheam, well apart from the fact that since the dawn of the new millennium it has been home to Tone’s Bar, the legendary Blues themed sports bar that has been rightfully fêted as the best of its kind on planet Chelsea. Owned and run by Chelsea fanatic Tony Millard, Tone’s Bar had become a veritable cornucopia of Blues memorabilia with every inch of available wall space covered with signed photos and shirts dating back to the great sides of the late ‘60s and early ‘70s. A match-day Mecca for those who couldn’t get along to Chelsea games in person, Tone’s Bar boasted more large screen TVs than Radio Rentals, there was even a set in the Gents toilet just to make sure you didn’t miss out on any of the action when nature called. Oozing charm and charisma, Tony is the perfect host and his garrulous enthusiasm for all things Chelsea regularly enabled him to attract many ex-players to his bar for hugely entertaining question and answer evenings. Chopper Harris, Alan Hudson, the late great Peter Osgood and Kerry Dixon are just a few of the Blues legends who supped a pint and shared a story or three with fans in the convivial atmosphere of Tone’s Bar which in a relatively short space of time had garnered sufficient attention to merit being featured in the 2007 Chelsea movie ‘Blue Revolution’. On arriving at the bar, Tony tearfully explained that quite simply he couldn’t afford to keep his pride and joy open anymore. Rupert Murdoch’s regular bastardization of the fixture list coupled with the exorbitant cost of public broadcast fees and the belt-tightening forced upon many regular punters has diminished his takings to such an extent that it was no longer financially viable and so it was with a heavy heart that he’d taken the decision to call last orders. To put it simply, Tone’s Bar was a shrine to all things Chelsea, real fans, real atmosphere, a true Blue oasis in a desert of bland Toby Carvery’s and JD Wetherspoons and it is a crying shame that we may never see it’s like again. Tony, on behalf of everyone of who shared the pleasure of your company, thanks for all the memories and may fortune favour you in the years to come.